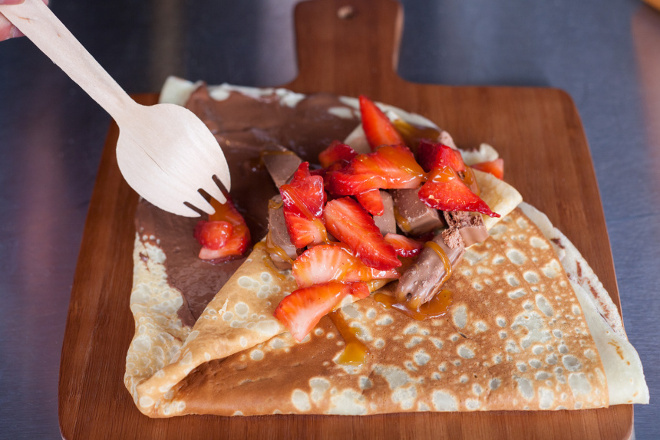 If you thought nothing could taste sweeter than gooey Nutella on a warm crêpe, what about knowing your dollars were supporting homeless youth in Melbourne to better their lives? That’s reason enough to return for seconds, at least. 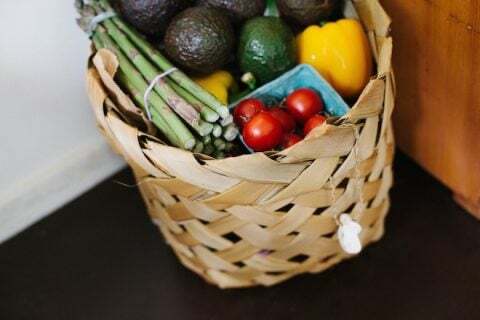 Providing a (delicious) service guarantees a revenue stream. 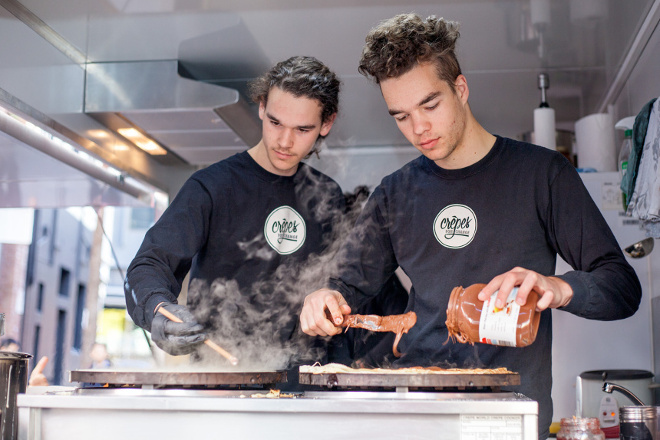 Dan Poole, law student and crêpe connoisseur, created Australia’s first non-profit crêpe food truck in late 2014 with his brother, Liam. Their mission? 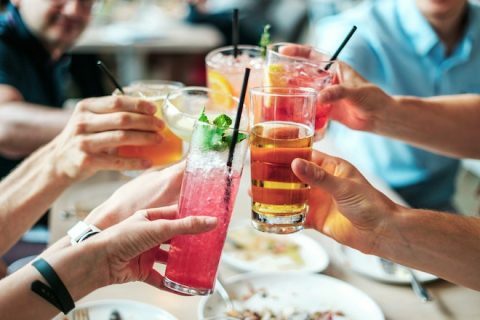 To eliminate youth homelessness, inspired by the success of hospitality enterprises providing training and support for disadvantaged youth, such as STREAT and Kinfolk cafe in Melbourne. Dan has utilised a for-profit business model of creating revenue through making crepes instead of asking for donations. He then invests the profits (minus business costs) back into their cause. Did we mention he’s 21? This crêpe is technically guilt-free. But why would a student of law and Chinese decide on crêpes? “I often get asked by people where the seemingly arbitrary idea to use a French dessert as a tool for social change came from,” Dan says. 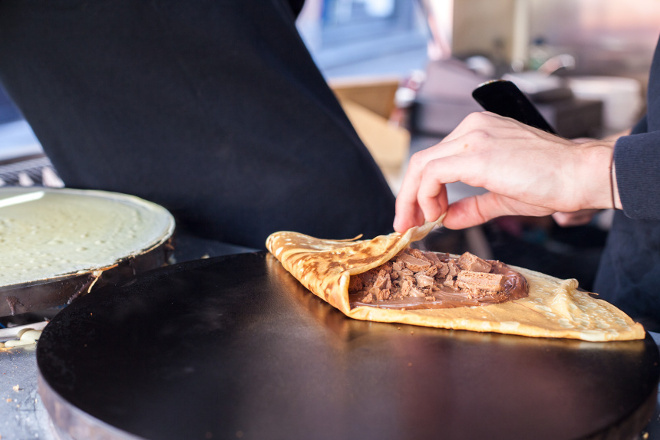 As a high school student, Dan had spent a semester in the home of crêpes – Brittany, France. Every Friday night was designated crêpe night for his host family and their extended relatives. After mastering the art of spinning these light, crispy circles of deliciousness each week, he was gifted the legendary secret family recipe. 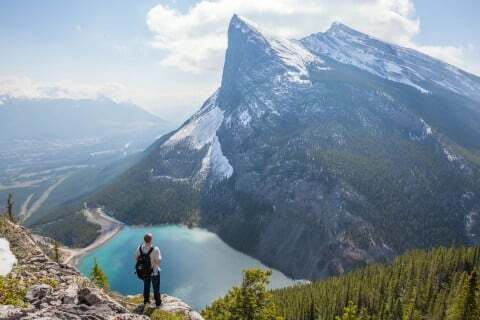 Confidence to back a good idea; Dan Poole. 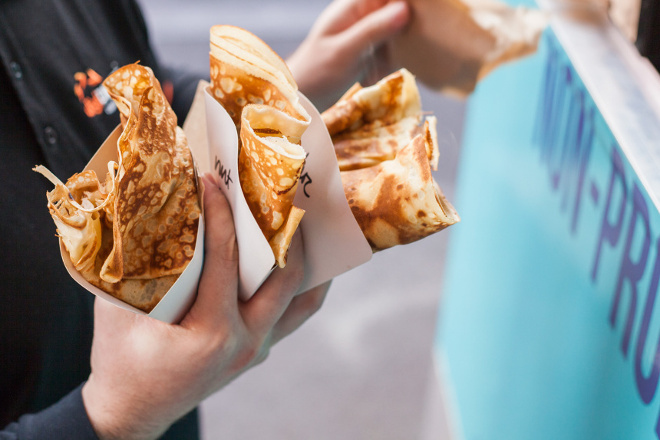 It’s one thing to be great at making crêpes, but running a business and a social enterprise is an entirely a different beast, especially for someone with no prior experience beyond volunteer roles and working in crêperies. Far from falling flat, Liam and Dan have so far raised $60,000 since launching in August 2015. 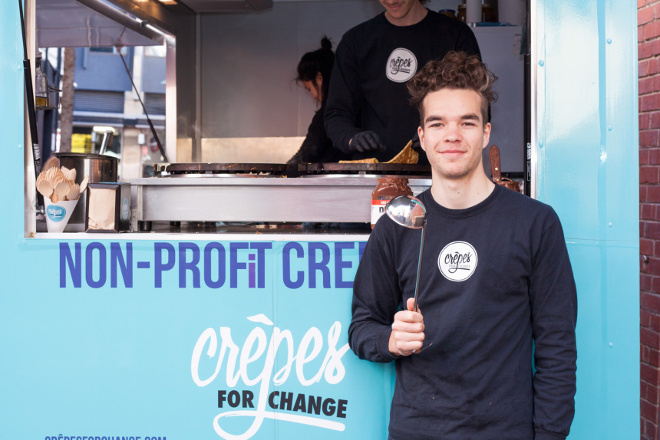 And there is no shortage of demand for Crêpes For Change at events and universities – Dan receives at least five daily emails, inviting his truck to events around town. Their crowd funding campaign raised $12,000, plus they received five successful grants which provided an additional $10,000 to cover the custom-designed van and equipment costs. They have also just been awarded the Jetstar Flying Start grant of $30,000, which will go towards an expansion into a coffee van and youth training initiative. Their plan, in agreement with the volunteers and supporters, is to focus on expansion to ensure they are able to provide the greatest benefit to young homeless Australians. Supporters can make donations via their website. 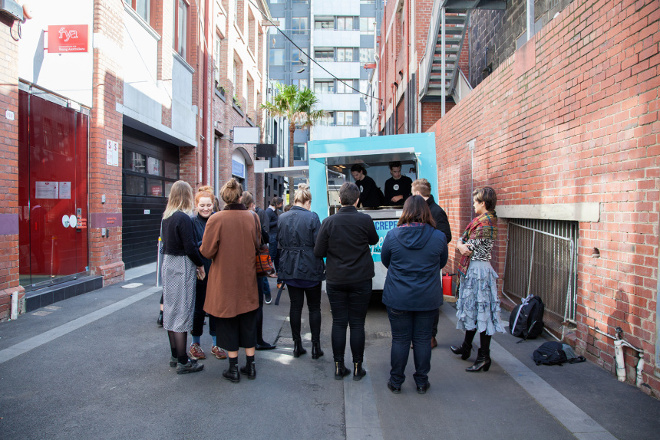 Find the van at markets, private events and festivals around Melbourne by following their Facebook, Instagram or by heading their events page. Cat Woods is a writer, editor and blogger in Melbourne. She is also a yoga, barre and pilates instructor with a passion for fitness, lipstick, 90s electroclash and yoga pants.